Jarrow Formulas Methyl-B12 / Methylfolate 1mg Lozenge combines the active forms of these vitamins to support DNA and neurotransmitter synthesis and amino acid metabolism. Homocysteine is converted to methionine by methylfolate and B12, or converted to cysteine by P5P-dependent enzymes. P5P is the biologically active form of vitamin B6. 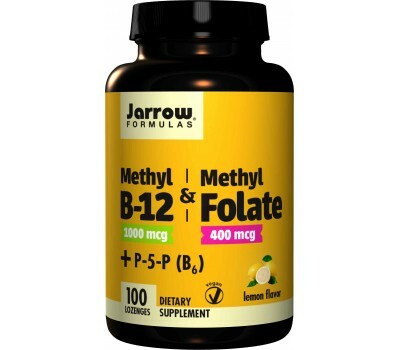 The Jarrow Formulas lozenge of Methyl B-12 + Methyl Folate + B6 (P-5-P) combines the more bioavailable and biologically active forms of the vitamins B6, B-12 and folate in one easy-to-take format. Methylcobalamin (methyl B-12) is the most bioavailable and best utilized form of vitamin B-12. It is well retained and is active without the need for conversion by the body, unlike other forms. 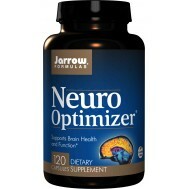 Clinical studies have documented methyl B-12 efficacy in slowing the effects of aging on nerve tissue. Methyl B-12 also appears to help balance brain chemicals and promote neurotransmitter synthesis to improve communication between nerve cells. Studies also demonstrate B-12’s ability to reduce blood homocysteine levels, a pro-oxidant marker that has been linked to arterial injury and other health concerns. 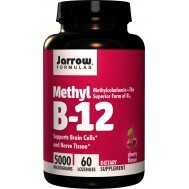 Methyl B-12 may also help with irregular sleep patterns, immune function and promoting normal cell growth. Finally, Methyl B-12 plays a strategic role in the production of oxygen-carrying blood cells. Only methyl B-12 initiates methylation, a process in which methyl (CH3) groups are donated to the myelin sheath that insulates nerve fibers and regenerates neurons. 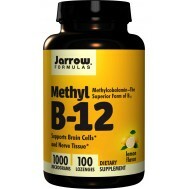 Methyl B-12 also helps synthesize neurotransmitters (e.g., serotonin, dopamine, norepinephrine). Via methylation, Methyl B-12 is a catalyst for the conversion of homocysteine to methionine, an essential amino acid. Similarly, it helps remove other toxins (e.g., arsenic) from the body. Advancing age, medication, and diet are the primary risk factors for vitamin B-12 deficiency. It is recommended that people over fifty consider supplements and vitamin B-12-fortified foods. Indeed, up to 40 percent of older individuals suffer from reduced stomach acid, which impairs absorption of protein-bound vitamin B-12. 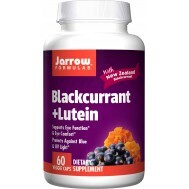 Medications for stomach ulcers, heartburn, or GERD inhibit gastric secretions, and impair vitamin B-12 absorption. Any disorder of the digestive tract may increase the risk for vitamin B-12 deficiency. The best sources of vitamin B-12 are animal products, such as meat, eggs, and fish. Therefore, strict vegetarians (those who eat no animal products) are at considerable risk. One study reported vitamin B-12 deficiency in 58% of vegetarians. Folate (vitamin B9) deficiency leads to a type of anemia. In the 1960s, scientists further discovered that folate deficiency during pregnancy leads to neural tube defects, such as spina bifida and anencephaly, in newborns. In support of this finding, folate supplementation during pregnancy has been shown to reduce the risk of neural tube birth defects. However, taking folic acid only, especially in the synthetic form, may lead to a more pronounced B12-deficiency, which can lead to other birth defects of their own. Similarly, folate is needed to support cardiovascular and neurologic health and proper cell division. Folate is a generic name for a naturally occurring family of compounds containing a pteridine ring linked to p-aminobenzoic acid and containing a polyglutamate tail. The folates found in food consist of a partially bioactive mixture of folate polyglutamates, but these tend to readily degrade during harvesting, storage, and food processing. Up to three-quarters of initial folate activity may be lost. Synthetic folic acid, which is used for fortification, is much more stable because the pteridine ring is not reduced (is in the oxidized state); it also is devoid of the polyglutamate tail. Concerns have been raised about the potential side effects associated with too much synthetic folic acid intake. In contrast, it is not generally believed that natural folates present such risk even at high levels of intake. The difference may stem from the biochemical conversion of folic acid to the bioactive form. In humans, the initial reaction is unusually sluggish. It takes place at < 2% the rate as in rats. And just as surprising, the activity of this enzyme can vary amongst humans by 500%. Natural folates, largely avoid this bottleneck since they are already partially on their way toward the bioactive form. Dietary folate easily deteriorates and folic acid is susceptible to bottlenecks and impasses in the conversion to the bioactive form, especially in individuals with certain common genetic variations in metabolism. 5-MTHF itself overcomes one shortcoming by providing the bioactive form. Stabilizing 5-MTHF as the glucosamine salt leads to gains in both stability and bioavailability. Methyl Folate (5-MTHF) is the most biologically active form of folate. Quatrefolic® ((6S)-5-methyltetrahydrofolate glucosamine salt) is the 4th generation development in folate delivery. Pyridoxal 5-Phosphate (P-5-P) is the coenzyme form of vitamin B6 and is necessary for the metabolism of proteins and amino acids. Vitamin B6 is a cofactor in multiple enzyme systems in the body. P-5-P) assists the reduction of homocysteine to methionine through the cystathionine pathway. Jarrow Formulas’ Methyl B-12 / Methyl Folate Lozenge provides Methyl B-12, Methyl Folate and Pyridoxal 5-Phosphate in a convenient lozenge form. Methyl B-12 is a readily-absorbed, highly bioavailable form of vitamin B-12 that helps maintain brain-health, vitality, levels of restful sleep and an enhanced mood. 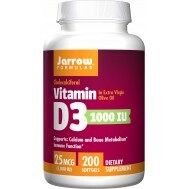 It also helps to detoxify homocysteine and other oxidants associated with aging. Methyl Folate is needed to support cardiovascular and neurologic health and proper cell division, especially in those with common genetic variations that limit its biosynthesis. Folate supplementation during pregnancy has been shown to reduce the risk of neural tube birth defects. For a very long time already, women that want to get pregnant, are advised to start taking folic acid or biofolate (the preferred form). Like-wise, seniors have started to take it as well, especially in combination with vitamin B12 in order to reduce homocystein levels. In a new study it was concluded, folates give seniors stronger muscles too! 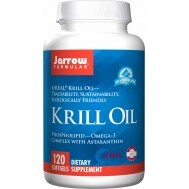 Dissolve in mouth or chew 1 lozenge per day or as directed by your qualified healthcare professional..